The address of the current location 'Brescia - Brecia': Via Rambotti, 17, Desenzano Del Garda, Brescia - Lombardia, Italy. Car hire system OrangeSmile.com offers vehicles for rent at the rental location 'Brescia - Brecia'. We carefully maintain largest up-to-date database with actual offers from most of the rental suppliers in Italy. Due to this, we are able to find the best and cheapest rental options for your specified location and dates. Upon arrival to the 'Brescia - Brecia' rental office, please provide your confirmation voucher, driving license and credit card to an officer. The credit card is required for payment and deposit. The deposit amount is usually equivalent to the amount of the largest insurance franchise specified in your voucher. We wish you a great driving experience on the roads of Brescia! However, Contarini fountain named after its founder remains the main decoration of the square. 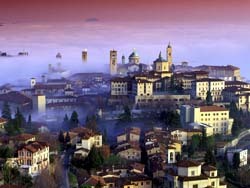 The tallest building of the historic district of Bergamo can be also found here. This is the clock tower Torre del Campanone. The tower is also known as one of the main symbols of the city. In 1486 it was severely damaged by fire, but later the tower was completely rebuilt. Walking through the gallery halls of the tower, you can reach another beautiful area - Piazza del Duomo Square. The square is the location of a prominent religious landmark of Bergamo - Santa Maria Maggiore Church. All newcomers are surely amazed by the magnificent portal of the church, which is designed in Romanesque style, as well as its luxurious hall made in Baroque style. Without a doubt, the main relic of the basilica is the gravestone of the famous composer Donizetti, who was born in Bergamo. 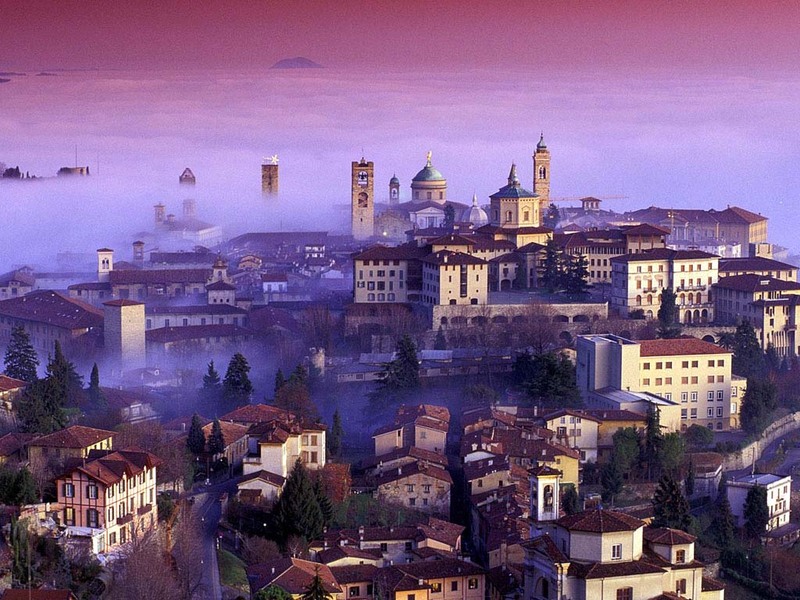 Sant Alessandro Cathedral is an equally prominent and remarkable religious sights of Bergamo. The construction of the cathedral was started in the 6th century. The construction of the cathedral was completed only in the second half of the 19th century, so the building is a truly unique combination of different architectural styles. Tourists will be really interested in visiting this sight as six of its chapels and the nave of the cathedral were built in the 15th century; the interior furnishing was made in the 18th century, while the main decoration of the cathedral as well as its beautiful dome appeared only in the 19th century. You will find a magnificent baptistery right opposite to the cathedral. During the construction of the baptistery was the expensive Verona pink marble. The baptistery is considered one of the most beautiful architectural buildings of the old part of the city. The mandatory excursion program should also include a visit to Colleoni Chapel, which is considered a true example of wonderful Renaissance architecture.